Right now I have around twenty unanswered ReviewU requests. They’re sitting in my queue, alone and unloved, waiting for the day that I will write about them. Why haven’t I reviewed these sites yet? Well, honestly, there’s nothing wrong with most of them. They’re perfectly good sites, and I like to have something to rant about in my ReviewU entries. In other words, I don’t find them interesting and don’t really want to write about them. 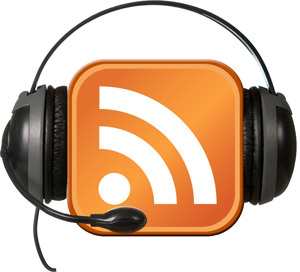 Yesterday this site passed 100 RSS readers for the very first time. It occurred to me that I now have a sizeable audience, and that a plug from me may hold some value. I’ve always said that it’s ultimately up to me whether or not I review your site in a ReviewU, and now I’d like to launch a new service that will guarantee a review: ReviewU Now. This service will be pretty similar to ReviewMe, but without the middle man. In exchange for a guaranteed 300+ word review, I’ll be charging $$$. What will I do with that money? Well, I’ll probably use it to buy a bunch of Jones Soda, which I happen to adore. I’ll then take a picture of me drinking said soda with a sign with your site’s logo/URL on it. While this serves no practical purpose for you, it increases brand recognition for me. 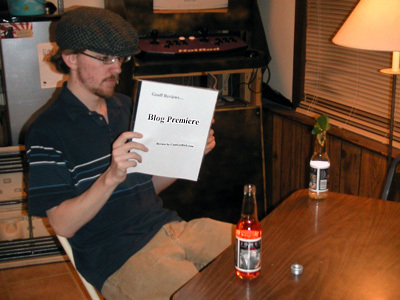 As far as I know, I’ll be the only blogger who reviews sites while drinking Jones Soda. I’ll still offer free reviews, but of course, those aren’t guaranteed. If you absolutely want/need a review from this site, you’ll have to pay up. I’m starting it at $10 per review, and I’ll be increasing the price for every additional 100 RSS readers I get ($20 for 200 readers, $30 for 300, etc). I’ll scale that back once I hit 1,000 readers, whenever that happens. I’ll be updating the ReviewU page shortly, and I’ll have a new button up as soon as I can. I’m curious to see how this will be received, so please let me know what you guys think. EDIT: Button is up and the ReviewU page has been updated to include a description of the service and a paypal button. I guess it was only a matter of time until somebody asked me to review a gaming blog. Well, the author of Gaming Chronicle wrote in to request a ReviewU, and I couldn’t refuse. The site is just good enough to warrant consideration, and just bad enough to catch my attention. As the name implies, this is a gaming blog. A gaming blog that is still in diapers. It looks like the first post was made on February 13th. Normally I wouldn’t waste time reviewing such a new blog, but this one seems to be heading in the right direction, and I like to encourage sites that have potential. Other than that, it’s just your standard gaming site: Gaming reviews, gaming strategies, gaming tips. Gaming. Let’s start from the top. First of all, I like the header (although I don’t recognize half of those characters. I need an Xbox 360 and soon). Pretty decently done, and it matches the color scheme of the site perfectly. Speaking of the color scheme, I like it. I’ve mentioned before that I prefer darker colors when reading, and this site makes good use of black, blue, and white. Very subdued. As for the layout, it works pretty well. The two-column sidebar doesn’t crowd the posts, which is nice. While I’m on the subject of posts, take a look at them: They’re original, they don’t have any glaring spelling or grammatical errors, and they’re updated every couple of days. This site is on the right track. Oh, and very clever use of the Firefox referral link in the top-right. For those of you who don’t know, Firefox has an affiliate program (through Google). Every time someone downloads and installs Firefox via that link, he gets a dollar. One thing though - I’m already using Firefox, so I shouldn’t be seeing that text. Familiarize yourself with conditional comments and make it so that only IE users see that link. It wouldn’t be a ReviewU without some criticism. First off, I’m seeing too many Adsense blocks. When I see a brand-new blog with only eight posts and four Adsense blocks, I see someone who’s blogging for the money, not for enjoyment. Remember my recent tirade against video game blogs? That’s what I was ranting about (people who focus on ads, not content). 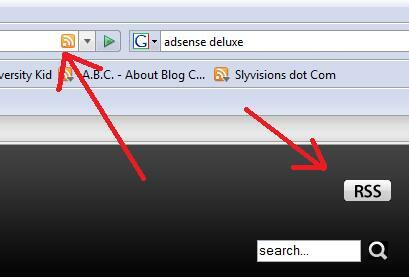 Here’s another thing to add to the list of things that shouldn’t be there: The Feedburner widget. Right now it’s proudly displaying zero readers. Personally, I’d find that embarrassing. Take that thing down until you get some more (or any) readers. Also, on the subject of widgets, the MyBlogLog viewer looks out of place. Personally, I’d just ditch it. Gaming blogs tend to focus more on content than reader interaction anyway. Oh, and one more thing: gamingchronicle.blogspot.com. Fix the URL before you do any serious monetization. This blog has lots of potential. Not for making money, but to get the author’s name out there. Keep updating two to three times per week, and with a couple of years and some luck, you might just make it big. Oh, and try to focus mainly on newer games. That Warcraft III post? That would have been interesting six years ago.